In a radio interview in New York last week, Catriona Gray was asked about Miss USA Sarah Rose Summers’ controversial comments during the Miss Universe pageant. Radio host Sway Calloway brought up the viral video where Sarah Rose was talking about non-English-speaking contestants Miss Vietnam H'Hen Nie and Miss Cambodia Rern Sinat. 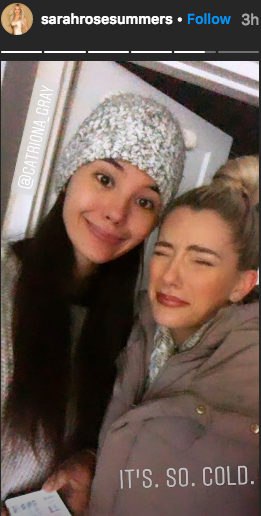 Sarah Rose has apologized for her comments and currently shares the Miss Universe NYC apartment with Catriona, where they are all bundled up for the winter.